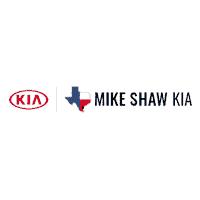 Mike Shaw Kia has an incredible selection of used trucks for our customers to choose from! Whether you’re looking for a regular cab, double cab, or crew cab, our dealership always tries to keep the most popular models in stock! Shoppers have different wants and needs when it comes to purchasing a truck, so we’re glad to offer options for our customers to choose from. View our inventory online or stop by and see us today! At our dealership, we offer competitive prices on our used trucks. We know our customers are looking to get a great deal and we plan to deliver. If you’re searching for a used truck to haul cargo or a truck for the entire family to enjoy, we’re pleased to offer a variety of specials for you! If you’re still concerned about buying a truck that’s pre-owned, let us calm your fears. Our used vehicles are rigorously inspected by our well-trained technicians. Our employees make sure that any problems, if any, are fixed before selling. Rest assured – you’re in good hands at our Corpus Christi dealership! So, you can an purchase our used vehicles with confidence. We understand that sometimes maintaining a vehicle can be difficult and time-consuming. That’s why we’re pleased to offer shoppers our incredible service department. Our trained technicians have a long history of providing outstanding service. If you’re in the need for service or parts, customers can also take advantage of our service and parts specials. Seeking an oil change, vehicle alignment, or anything in-between? You can count on us! Our friendly staff wants to put you behind the wheel today! Stop by and see us to learn more about our selection of pre-owned trucks and our numerous deals and specials. Don’t hesitate to stop by Mike Shaw Kia today! We are conveniently located at 6802 S. Padre Island Dr, Corpus Christi, TX 78412. Residents in Kingsville, Alice, and Mathis can all agree: Our dealership is reliable and offers excellent customer service. Don’t wait to come see us and take advantage of our amazing deals today! You won’t regret it!